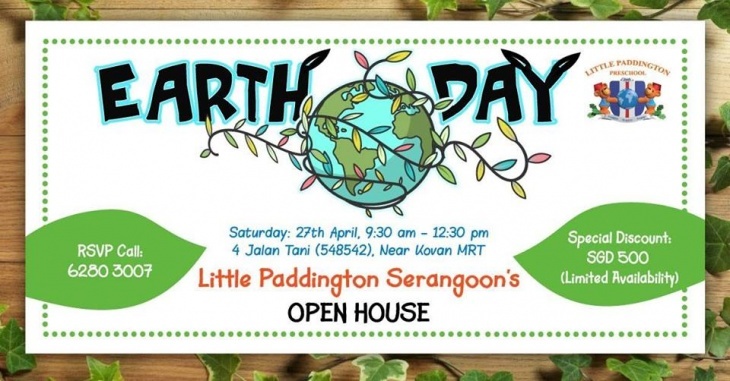 Join us for a super fun EARTH DAY themed OPEN HOUSE! RSVP +65 6280 3007. Don't miss out on our fabulous open house DISCOUNT UP TO $500! We have lots of exciting activities for your little ones to learn about sustainability - Reuse, Reduce & Recycle! Total Savings of up to S💲500!